Our clients are the reason we do what we do and we are so incredibly thankful for each and every one of them. Below are some testimonials from our awesome clients! "If you have a dog or a cat or any other animal you can pretty much take them anywhere. However if you have a four legged member of your family that you want to receive top notch care and a great deal of love and compassion, then Skaer Veterinary Clinic is the only choice! Dr. Skaer and her excellent staff will treat your loved ones with the utmost care and concern. I would not trust anyone else to care for my little buddy! Thank you Skaer Veterinary Clinic! You are the best!!!" "Took Autumn for her first visit today and we had EXCELLENT service!!! Dr. Chris is extremely knowledgable and very through. I highly recommend Skaer Veterinary Clinic!!!" "This is the best veterinary clinic in Wichita. They have cared for my family's animals for over twenty years with compassion and competence and I trust them without question." "I recently moved to Wichita and didn't know where to take my flea infested kitty girl and boy. Found your clinic on Google with 5 stars and you were available to see her. How very fortunate not just for my girl but also for me. I've been to a few Veterinary clinics in my lifetime with my animals but you totally impressed me with your excellent customer service. Thank you to everyone including the techs for taking such good care of my felines! "Best in town! I wouldn't trust anyone else with my beloved family members." "I've known Dr Chris for years, so when I adopted Farley, I knew where to go. Yes, it's more expensive than other places, but the treatment and service we get there keeps us coming back. I now have Farley and Sophia. Neither has issues going to see our friends. Farley seems to look forward to his visits. When they both had their teeth cleaned, Dr Arnet herself called that evening to check on them. When we were out of town, Sophia had a seed pod get lodged in her paw. The dog sitter let me know, I called from out of state and she was taken care of right away. Love, love, love Skaer Vet Clinic! "Wheeler the Healer now calls Skaer Veterinary Clinic his healing home, and we've had nothing but state of the art, personalized and attentive care from the medical and front office staff. I've had the opportunity to work with all the dogtors and most of the vet techs for a variety of needs, and the care was similarly seamless across services and providers. I'm a bit biased with regard to the front desk staff, as Courtney Jackson is Wheeler's cherished pet sitter and she's equally dear to me, but every one who greets you by phone or in person will make sure your pet's needs are taken seriously and attended to as quickly as possible. Dr. Skaer, as her father before her, expertly practices with the utmost respect and regard for her patients. I'm blessed to have this team looking after my furloved!!" "Chris, and before Chris, her father Bill, have taken care of my pets for over 30 years. Chris has taken me through the joys and heartbreak of loving and eventually losing 4 very special companion animals. I suspect that the hardest thing a vet ever has to do is help a human being walk their beloved animal companions over the Rainbow Bridge. The Skaer vet clinic, including the support staff, are incredibly respectful and caring during that painful time. During the good times, they provide knowledgeable care and advice, and truly share your joy. Chris is extremely knowledgable, but even more important than that, she looks up the answers or consults with a specialist if she doesn't know the answer herself. 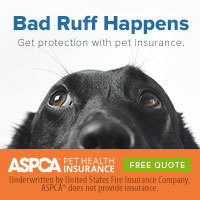 Your fur-babies could never be in better hands." "Dr. Skaer was so amazing, very attentive to my dogs but also addressed my husband & me & our questions. She even did research & printed it out for us. Talked to us about preventative care without putting pressure on us. Costs are all upfront which I appreciate. My dogs have had health issues in the past so I felt very secure that they are in the best hands. Best part of our visit was our tech named Christopher. My dogs take a while to warm up to strangers but hit off w/ him & Dr Skaer right away. One of my dogs was visibly shaking during her exam until Christopher just nuzzled her so affectionately & she stopped. She melted in his arms. You can tell he is a true animal lover and very knowledgable. He gave just as much care and attention to my other dog. Great service from front desk to exit. Most importantly my dogs left happy & my husband & I left knowing they had received top notch care." "Now that I've found them I will never trust my best friends to anyone else. The veterinarians and all the staff are simply wonderful." "We have taken our jack russell terrier to Skaer for 6 years. As an adult he started having seizures. They have been a great partner in helping us understand and treat the condition so that we can continue to enjoy our dog for many years to come! A+ Skills, knowledge and service." "Dr Christin Skaer is a fantastic vet - caring, kind, thorough & treats my pup as if it were her own. I highly recommend her & the staff at the practice are very personable & professional." "We love this vet for our new puppy. The staff is wonderful, and the doctors are patient and informative. Our pup loved the attention and treats she got for being there! Thank you skaer for the exceptional customer and puppy service!" "I have been going to Skaer since I picked out our first puppy 10 years ago. They were recommended and for good reason. All of the staff welcomes you and mostly your pet to the clinic and they treat them like they were their own family member." "Merc and I love the team at Skaer! I know that he is always in great hands whether I'm standing right there watching him get a shot or leaving him for a procedure."